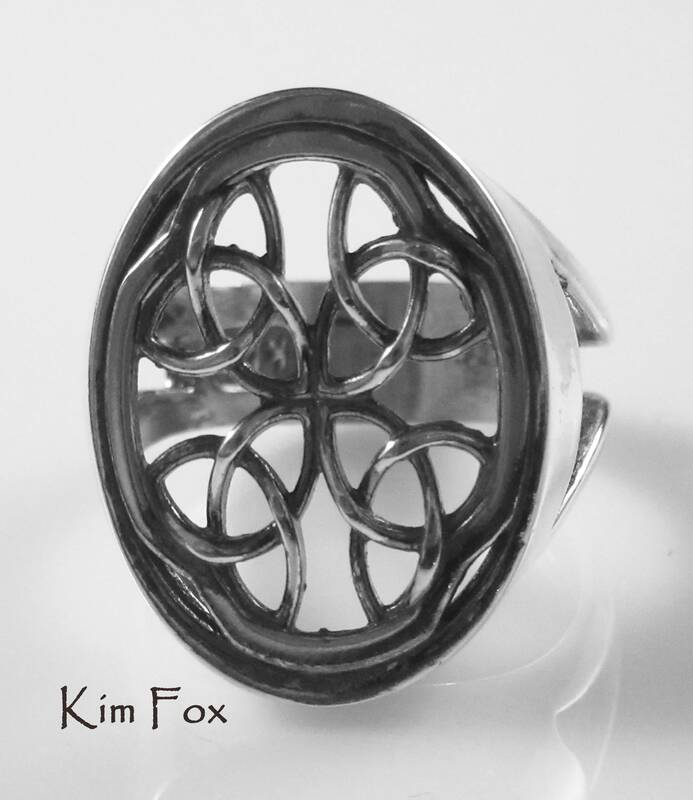 Irish/Scots Celtic Heritage honored with a ring designed with 4 Trefoils/Trinity Knots in Sterling Silver by Kim Fox. 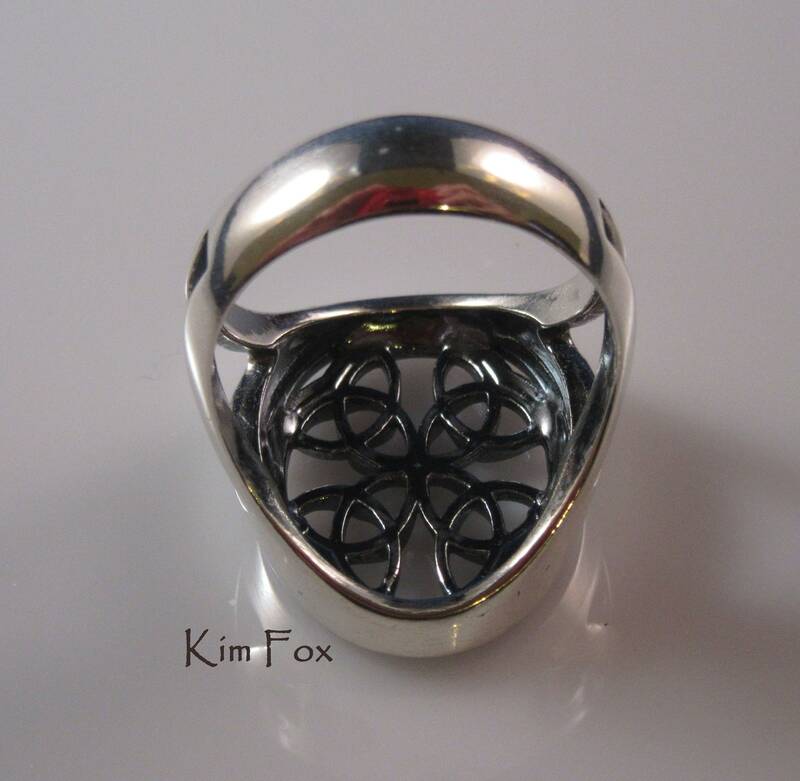 The ring is 7/8th of an inch top to bottom and 5/8 of an inch wide. 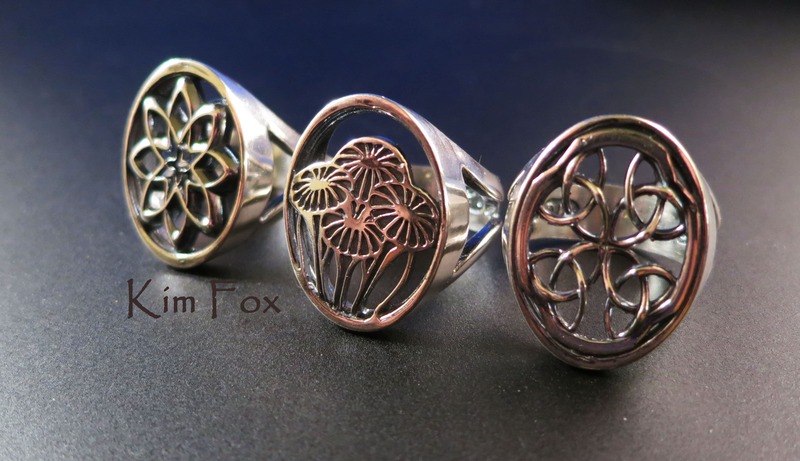 24mm by 18mm. 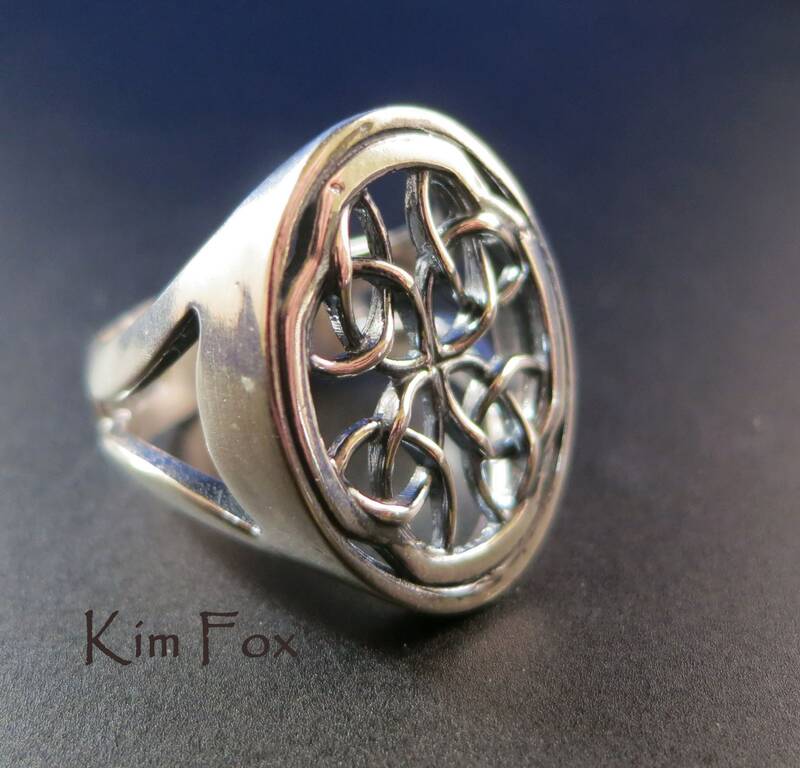 The band at the bottom is 1/4 inch wide or 7mm. 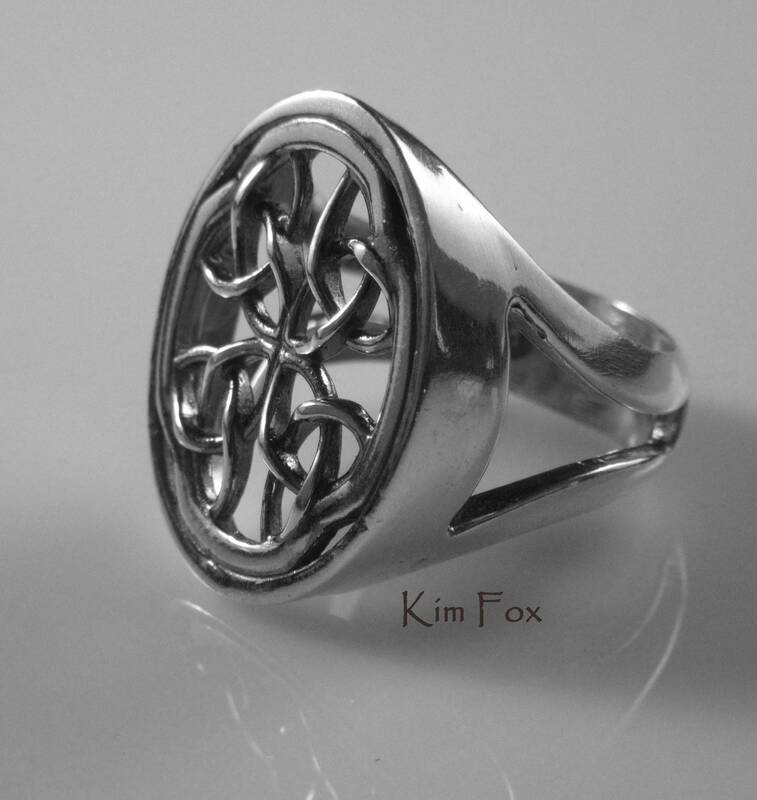 Suitable as a right hand ring or token of love on the left hand. 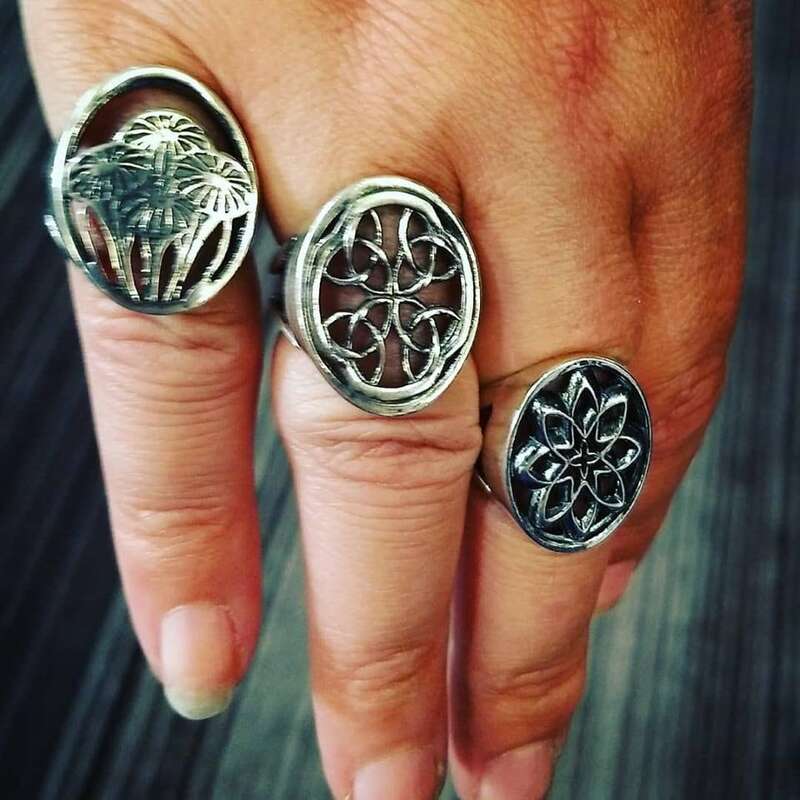 Though wide the airy construction keeps your hand comfortable as the ring tapers close to the hand on the sides and the open woven design keeps your hand cool. 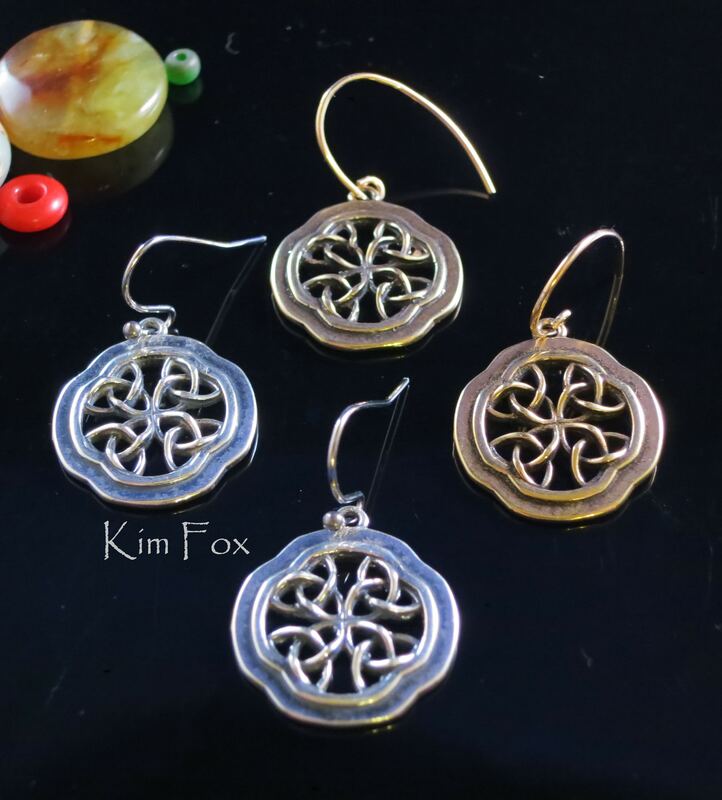 I made a pendant and earrings of this design and the ring is the third in this design. 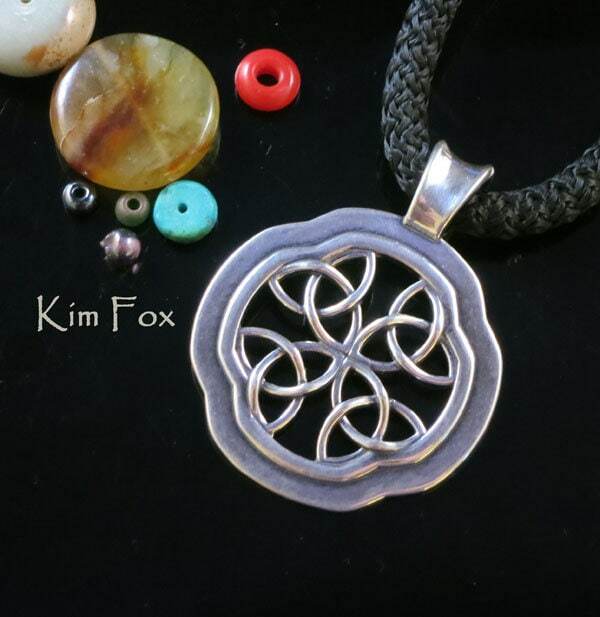 The trefoil/trinity knot has multiple meanings through history. 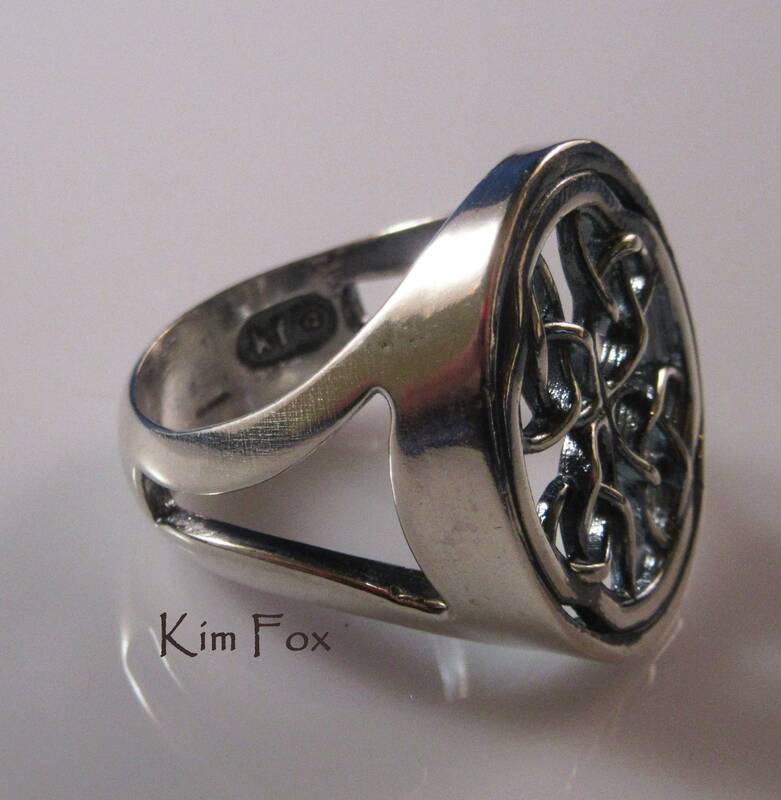 It has been used in Christian, German, Asian and Pagan art. Some meanings given is are earth, wind and fire. The 3 ages of women, girl, woman, crone/wise woman. The Christian Trinity.